Take your own personal action. 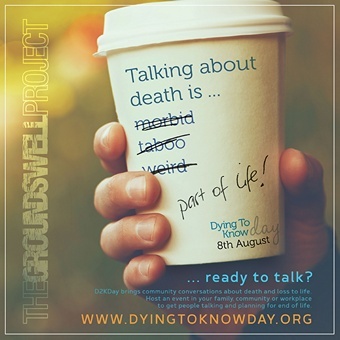 Whether it is sparking a long avoided conversation with a family member, loved one for friend; sorting out your own Will/Advance Care Plan or developing your death literacy. Join the conversations on Facebook and Twitter. Please use the hashtag #D2KDay when you post.